Gifts from the Pirates: "I suggest a new strategy, R2: let the Wookiee win." As far back as I can remember, LEGO has been a huge part of my life. It's always been my favourite way to express myself. When I was a child, LEGO was a way for me to shut off from some of the not-so-pleasant things that were going on at home growing up. These days though, it's all about the positives. My relationship with the boys is truly amazing. I give them everything I have when it comes to my time and energy. LEGO has shaped the way we play, create and work together, day-by-day and for that I will always be thankful. When I started writing the blog, the aim was for me to document all of the fun times we have as a family. It was my way of collecting things for the boys to look back on. 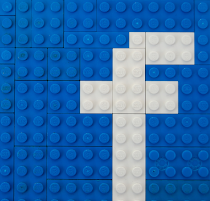 Although it is very personal to us, I knew I wanted to work with companies that I had a passion for, LEGO was always at the forefront of my mind. 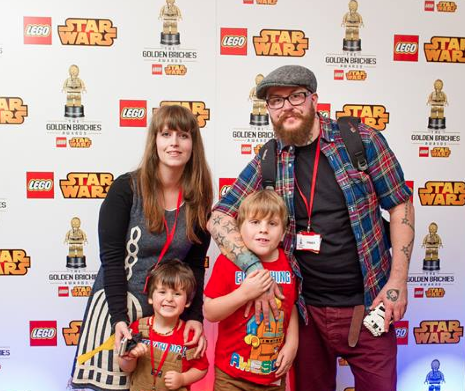 Writing for LEGO has been amazing, for me its about promoting a product that has shaped my development since I was a very small builder and is doing the same for my boys. 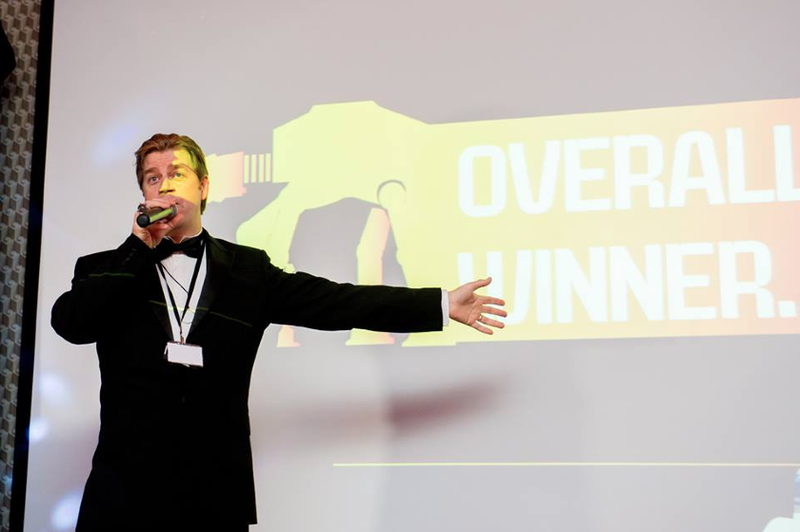 Last weekend we were lucky enough to be invited to cover the very first Golden Brickies Awards event and I felt so privileged to be a part of it. 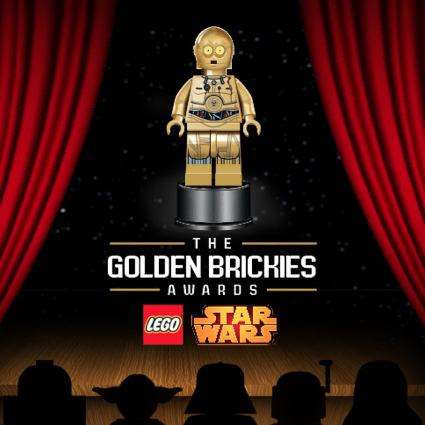 The Golden Brickies is an awards ceremony to celebrate the talented LEGO Star Wars fans and their awesome creations. 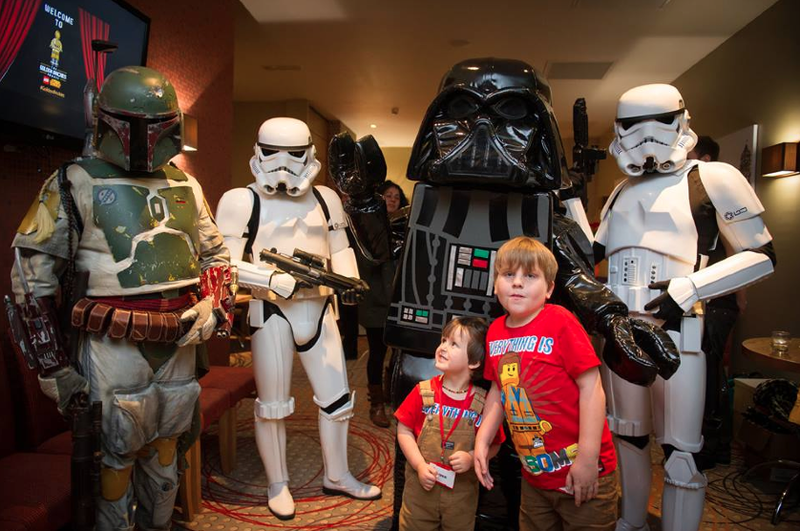 The boys had been so excited since we were asked to attend, and as we rounded the corner to Legoland Windsor (whilst listening to 'Everything Is Awesome') on Saturday we were greeted by a barrage or Stormtroopers crossing in front of us along with many popular characters from the cult movies. We did wonder who the semi naked characters were, wrapped in foil crossing the road. Seeing as it was such a cold day for that attire Mrs M said 'wow they've really gone all out!' 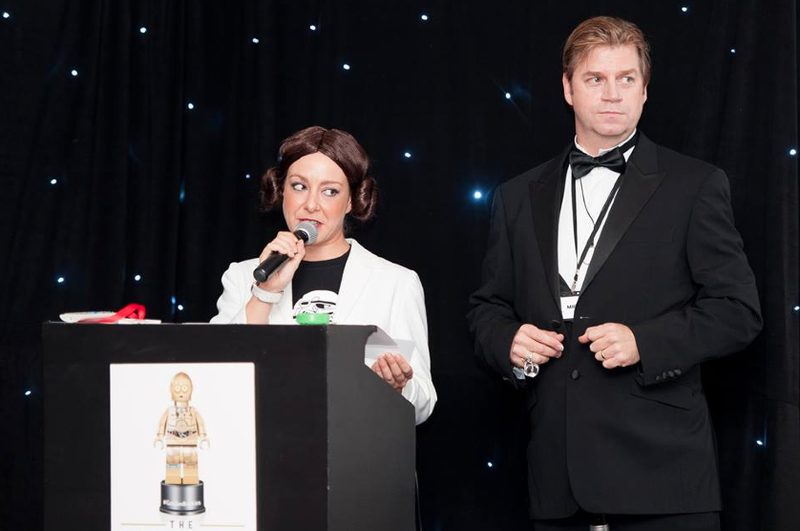 We soon realised that the hotel was actually being evacuated due to the smoke alarms going off and those people had been caught short in the swimming pool (so they weren't droids after all!). We parked the car and Mrs M ran over with our coats to offer them to the poor foil wrapped kids that looked like mini jacket potatoes. Once we got inside it wasn't long before I was feeling a little like a celebrity, I was asked for my name and was greeted by a few people saying 'so you're Pauly!' and 'We've read your LEGO posts and love them' It was a really nice and unexpected way to turn up to an event. It was also a real pleasure to finally meet a very special someone that I have been talking to via email for quite some time and she didn't disappoint, throwing her arms around me, she was as lovely as I expected her to be. Everyone was in high spirits and there was no shortage of characters to meet, which made photographing the event a joy. The boys were so excited as they wandered around with Mrs M, while I had fun chatting to people who were just as passionate about all things LEGO as I am. Princess Leah was really fun to talk to and I was educated on some really interesting things about the Cosplay scene. These guys really take their dress up seriously and without them the event wouldn't have been as entertaining for the little LEGO fans, plus it meant we bagged some brilliant pictures to look back on! 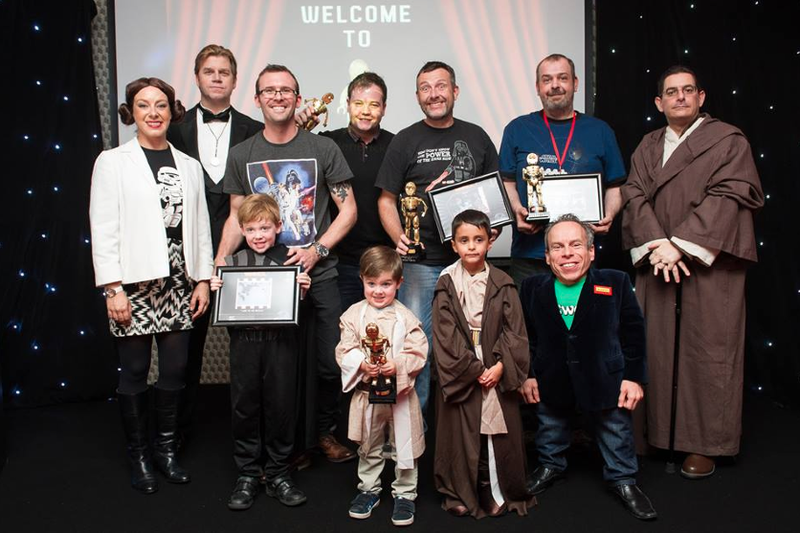 One of the judges for the awards was Warwick Davis who played Wicket in Return of the Jedi, he's been in so many of my favourite films over the years and me and Mrs M adored him in An idiot Abroad, so getting the chance to meet him before the ceremony was a real treat. He was such a nice guy, everything I expected from seeing him on TV in interviews etc. He looked like he was having lots of fun with his family which was great so we didn't take up too much of his time. The night before the ceremony I decided that I was going to accessorise for the event, so I surrounded myself in black and white bricks and let my creative juices flow. 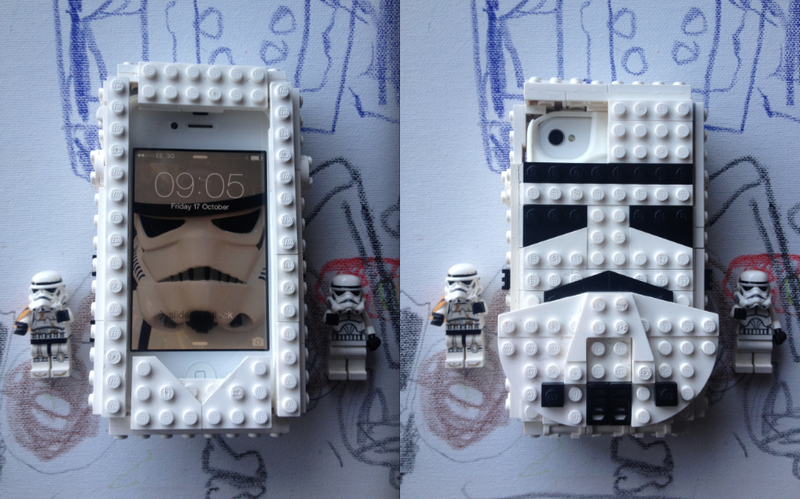 The outcome was a custom Storm Trooper iPhone case. I hoped it would be a bit of a conversation starter, and it certainly did its job. 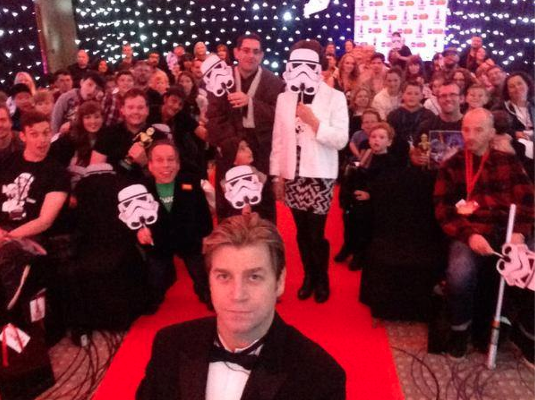 Especially when the Storm Troopers caught site of it. One of them even took a shameless selfie for my background. 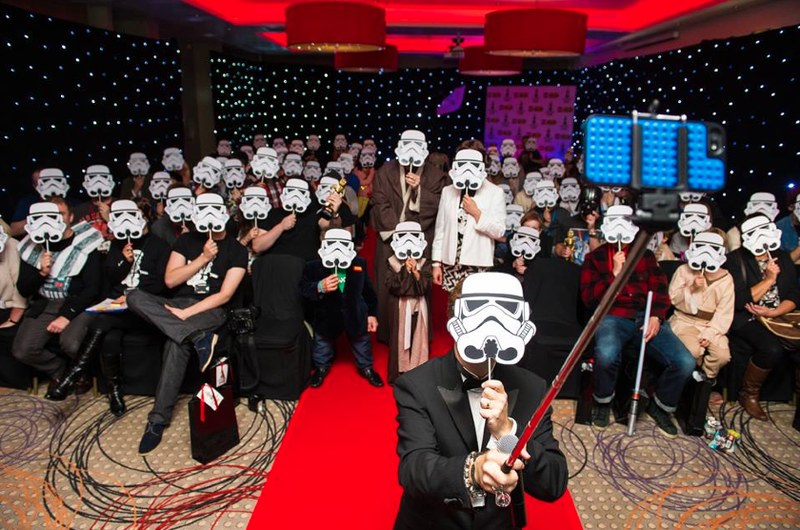 There were three awards to be presented, Best Picture (won by Guy Frankland: "It’s Ladies Knight at the Jedi Temple"), Best Video (Tim Sutcliffe: "Luke to the Rescue"), Best Build (Nick Sweetman: "May the Fourth Party") and Overall winner (Daniel Jamieson for the Video: "Snow Trooper Attack"). 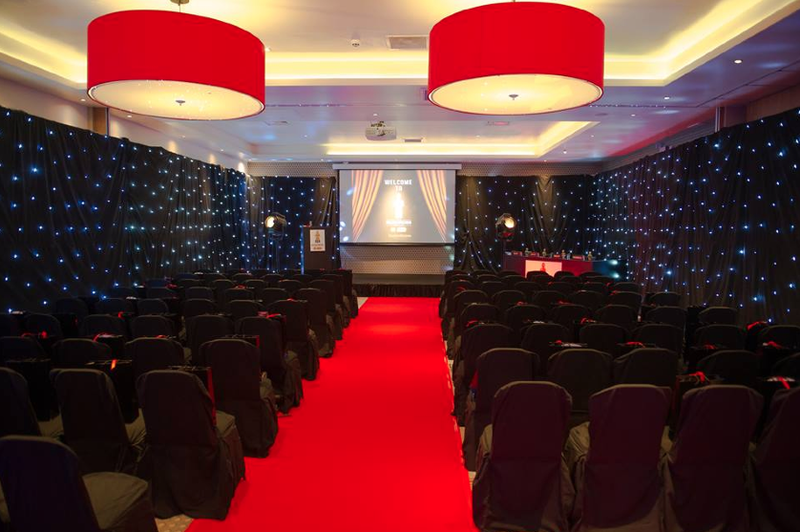 All of the entries that we saw were great and the awards were well deserved. I found myself wishing they did a similar LEGO Marvel / DC Super Hero ceremony as I would be all over that! 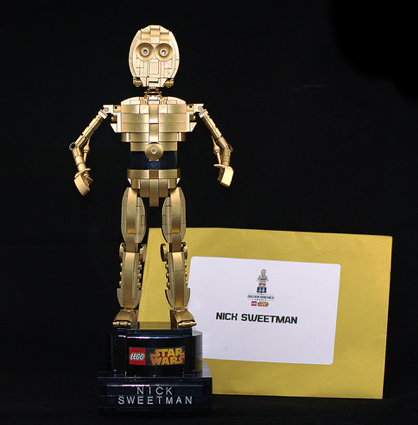 I didn't get a chance to photograph the awards while there, which were great, so when I got home I emailed Nick Sweetman (winner of best build) and he kindly let me use his photo. 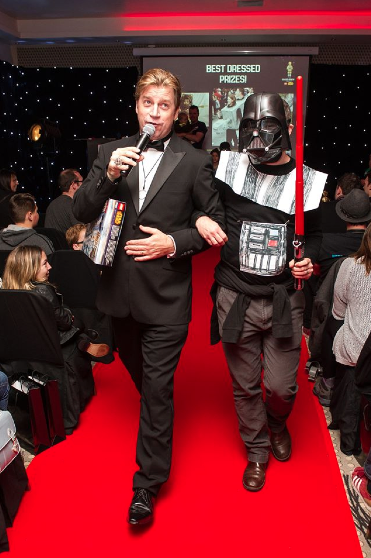 Aside from the main awards there was a prize for best dressed attendee and all costumed guests were given the chance to strut their stuff down the red carpet which they all enjoyed. The chap with the drawn on Darth Vader costume was really working it, but the ultimate costume was the mini Ewok costume. I didn't get a photograph but you can see the picture over at the very Proud dads blog idads. 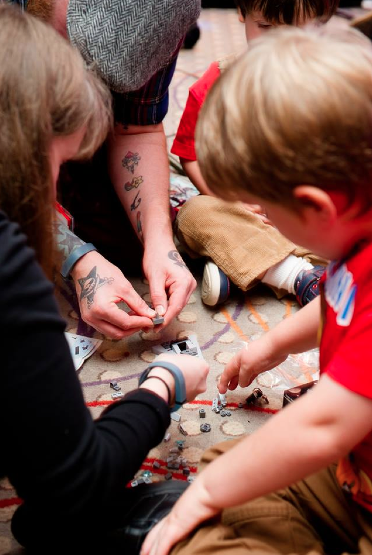 The event was truly amazing and we felt lucky to have been asked to go along, I really hope that we get the chance to attend more LEGO events in the future. Meeting so many lovely people really made the day for me and I think that I'll be chatting to those people a lot more over the coming months. As we walked away from the event the one thing that stuck out in my mind was how I feel about LEGO, it may sound odd to many people and I've been told to grow up a lot over the years but I have a strong bond with LEGO, it's given me many fond memories over the years and this weekend has just added to that. The last half hour of the event gave me an idea for our next large build too (thanks Christina) I'll be getting stuck in to that very soon, so stay tuned. You're so inventive with your making. What a great time you show the family!!! thank you, whoever you may be.